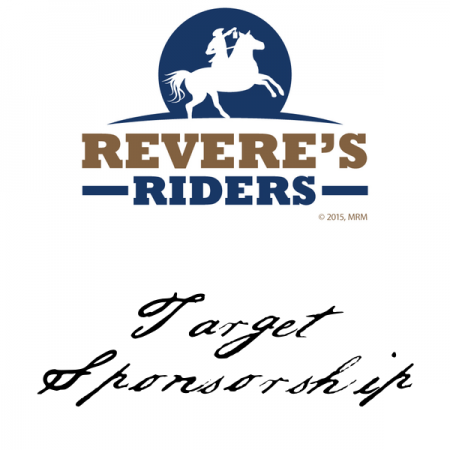 With a Revere’s Riders Target Sponsorship, your organization’s logo and contact information is placed on the targets used at Revere’s Riders events. Our event participants often bring home one or more of their targets meaning that your company logo and contact information remains in front of them long after the event. Sponsorship options include single event, all events in a state as well as organization wide. 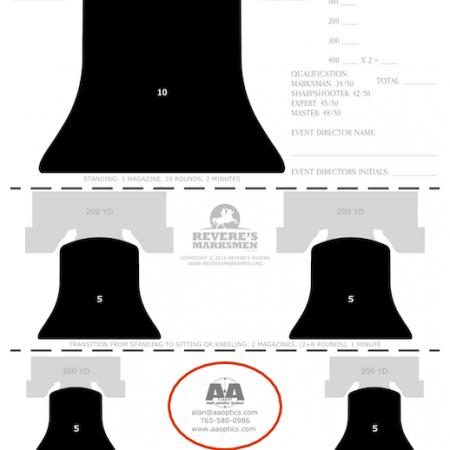 Please note that a 4-week lead time is required in order to have targets designed and printed. Website sponsorships are also available which will put your company’s logo and contact information on the Revere’s Riders website. This is a great way to get your company logo and contact information in front of a guaranteed audience of firearms enthusiasts. Sponsorship options include single event, all events in a state as well as organization wide. We have compiled a variety of statistics relating to our firearms events as well as website traffic on our Audience Reach page to assist you in evaluating whether a sponsorship makes sense for your organization. If you should have any questions, please don’t hesitate to contact us.